As your local used car dealership, Hubler Auto Outlet is committed to providing for the purchase, trade-in and financing needs of all drivers in the area, so don't hesitate to visit our family owned and operated business today. 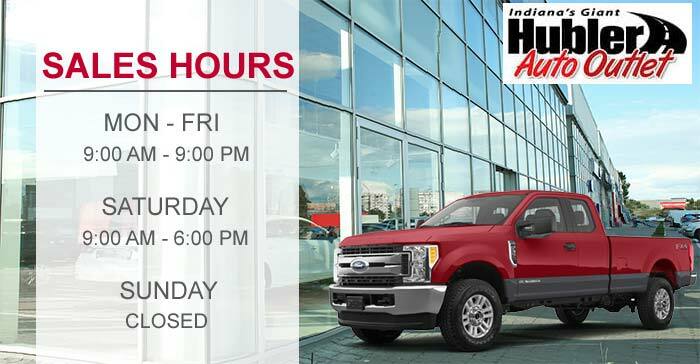 We've been serving Indianapolis, Indiana drivers since 1982, and are a part of the Hubler Automotive Group that has been operating since 1962! If you're interested in a diverse selection of well-maintained used cars for sale, top dollar for your trade-in and an array of financing solutions that complement your loan needs, head to Hubler Auto Outlet or shop our dealership via our interactive website! As a used car dealership for the people, we have impressive pre-owned vehicles that are sure to satisfy your search requirements. Whether you're a millennial looking for a nimble Chevrolet Cruze, a working professional interested in a stylish Nissan Sentra or an off-roading enthusiast with a sub-prime credit rating that is looking for a rugged Ford F-50 truck, we have a used option in stock for you! For added peace of mind, our used car dealership near Greenwood, Indiana offers Q Certified vehicles that not only include a 30-day comprehensive warranty but a 2-year/100,000-mile powertrain warranty. Get in touch with our friendly automotive professionals to learn more about these models and to schedule an unforgettable test drive. With options of all price points, you can find the pre-owned ride that suits you here at Hubler Auto Outlet. Because we also offer fair auto appraisal services, Southport and Lawrence, IN drivers can trade in and up with ease! Looking to finance a sleek used Hyundai Accent near New Palestine, IN? Team up with Hubler Auto Outlet's finance department! We work with licensed drivers of all credit scores, including motorists that have yet to establish credit or are in sub-prime credit situations, so feel free to send our staff a credit application online to learn more. We have many years of experience when it comes to getting drivers financed at low, competitive rates and we work with more than 40 lenders in the area to ensure we're evaluating all loan possibilities. 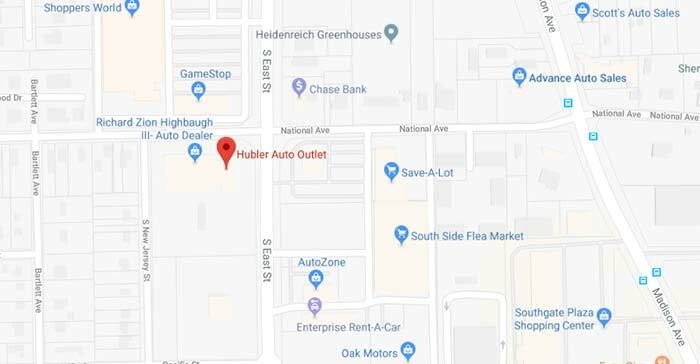 From supporting local and national initiatives to valuing auto trade-ins and helping drivers of all credit scores find the quality pre-owned vehicle that suits them, the Hubler Auto Outlet is committed to serving both needs of the community and the needs of drivers. Get in touch with our used car dealership that serves the Beech Grove and Speedway, Indiana areas or simply drop by for a customized pre-owned shopping experience today!